Every single one of our flower garlands are made with love by our own hands! 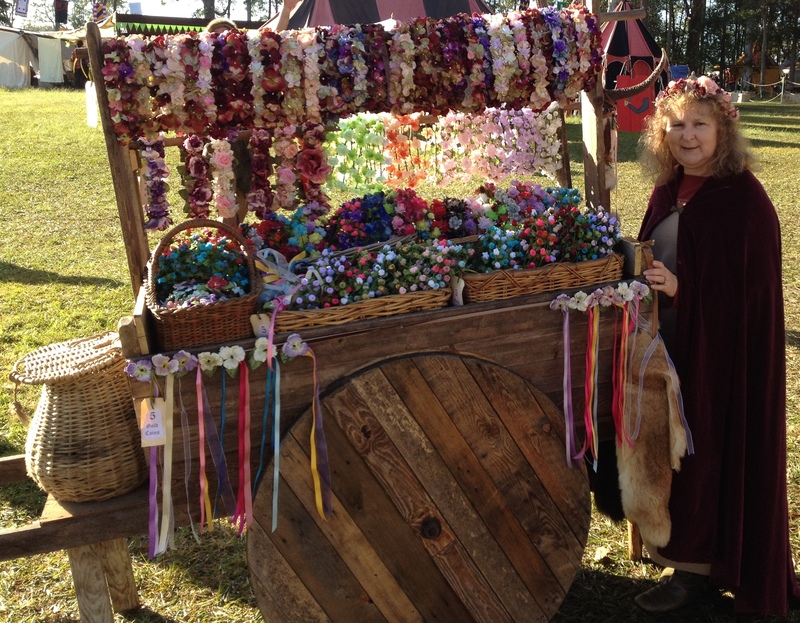 We spend months every year, creating our beautiful garlands for people to wear at the festival. We use a range of silk and velvet flowers to create our garlands which range in price, from just $5 to $75 each. 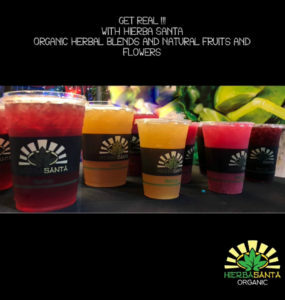 We offer our products as a vehicle to empower traditional health and well being. All of our products are made ethically from 100% handpicked, wild crafted and Certified Organic herbs. Our standard for product selection insures no contact with chemical herbicides or pesticides. Documented uses of plants in our recipes date back hundreds of years for the Native Americans Aztecs, Mayas , Ancient Sumerians, Chinese Dynasties, Indian Yogis and many other ancient and indigenous cultures. I believe my pieces are so special because everything I do is with an eye for detail, use of the piece and customer requirements. I consider myself a master leather worker and have dedicated myself to making leather goods of exceptional design, quality, and durability. From archery quivers to scabbards and belts, I strive to create items that are not only beautiful to look at but are fit for purpose. Natural skincare hand made on our certified property where we grow calendula, tranformed into oil. All our products are hand made on our certified property. We grow calendula flowers, a medicinal herb specialist for the skin. We transformed the calendula into infused oil – a traditional herbalist process – which then enter into the formulation of all our products. The property is certified Australian Demeter Bio-dynamic for 10 years now. It is the strictest and oldest organic certification in the country. 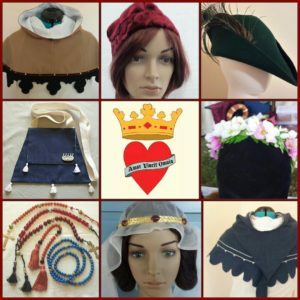 Our accessories are mainly 14th and 15th century but we also make some items from earlier centuries – a 13th century pilgrim bag, or a Viking hood, for instance. I enjoy bringing items from manuscripts and museums back to life by recreating them and seeing them in use. 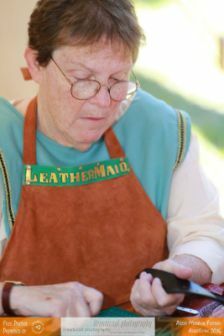 It unites my passion for research with a life long interest in handsewing. 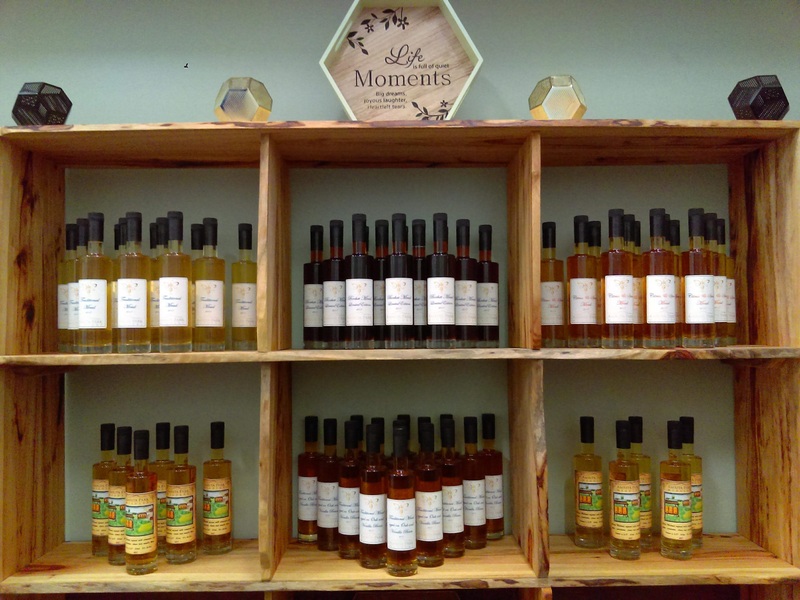 Our mission statement is to educate and bring quality Mead to everyone, there is a Mead is for every occasion! There will also be Two Amrita Park Meadery Meads available on tap at the Friars Folly Tavern for everyone to enjoy. 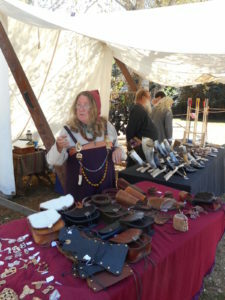 Drinking and blowing horns, leather waterbottles, handmade viking jewelry, fire kits, handmade bows and arrows, carved leather pouches and belts, handmade medieval stools, feasting kits, antler needles, lucettes. All the products on my stall are hand crafted in Australia by myself and other craftspeople. 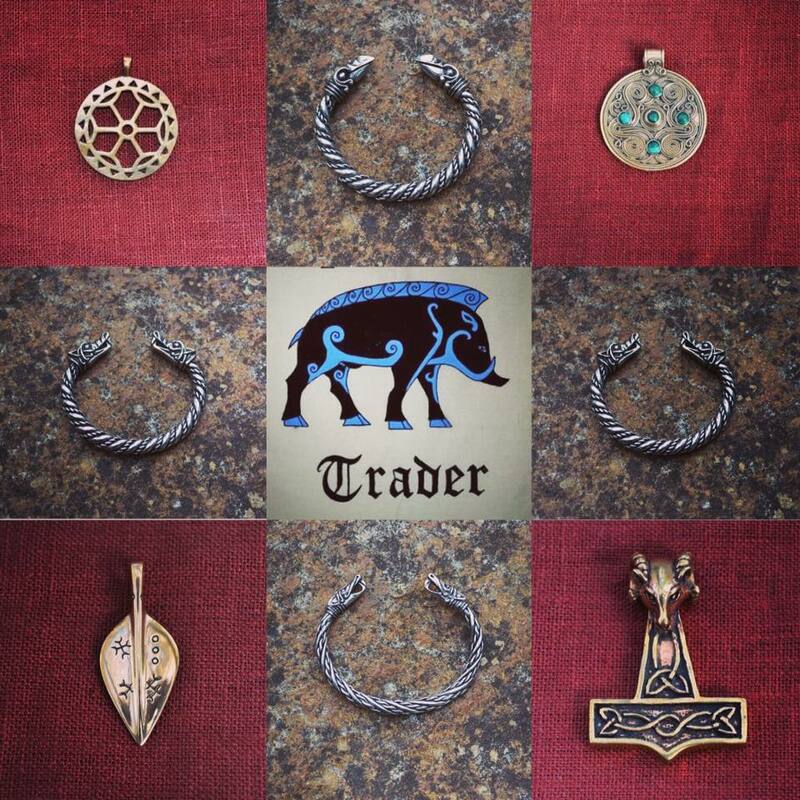 The products are researched to bring them as close to the celtic and viking periods as possible. The items cover the soft crafts such as weaving and sewing equipment, handmade bows and period arrows and damasus scorpion blades. All our wines are naturally fermented. No modern technology including any chemicals have been used to produce any of our wines. 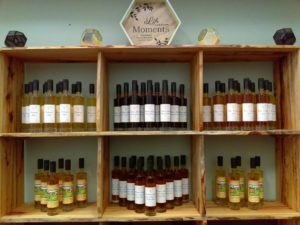 We also produce a beautiful Honey Mead and this year’s Mead is 2 years old and can also be spiced and warmed for drinking. Mulled Wine is also our speciality. 7th century Pictish encampment that trades in local and exotic jewellery, armoury, clothing and home decor. 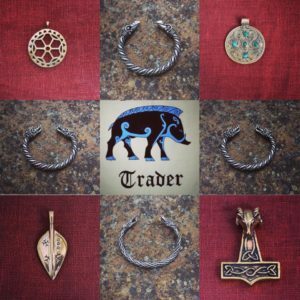 My wares portray a diversity of cultures as was found in 7th century Scotland due to trade with Anglo-Saxon England, Gaelic Ireland, Celtic Wales and various Viking / Germanic cultures bringing trade goods from as far as Constantinople and the Asiatic Steppes. Step back into the 7th Century and discover the beauty and cultures of Dark Age Britain. 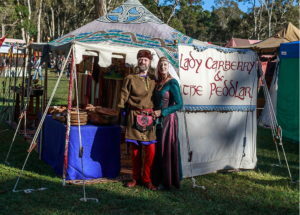 Lady Carberry and the Peddlar are purveyors of high quality goods presented in an authentic medieval merchant bazaar setting. Although originally frowned upon by noble and the clergy, society increasingly depended on merchants for the distribution of much needed goods and eventually they became people of great standing and importance within the community. 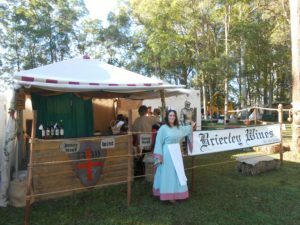 The role of the merchant became even more important and entrenched in society during the thirteenth and the fourteenth centuries as nobility became richer and peasants were better placed to purchase goods. The Peacock Feast Win a VIP experience for 8 people!